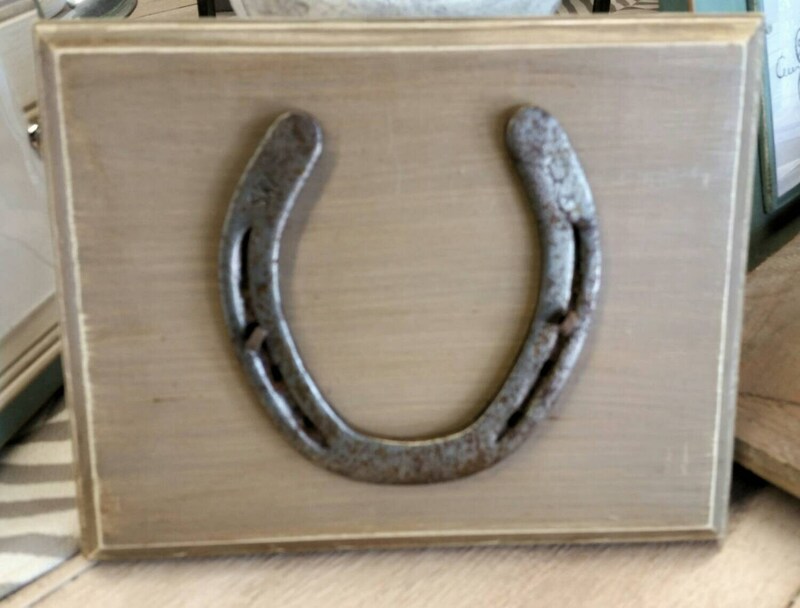 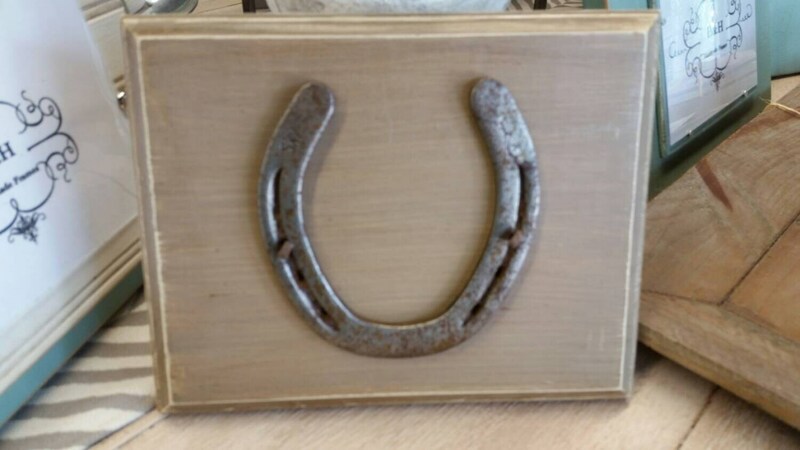 Lucky Vintage Horseshoe mounted on distressed wood with nails - Great House Warming Gift. 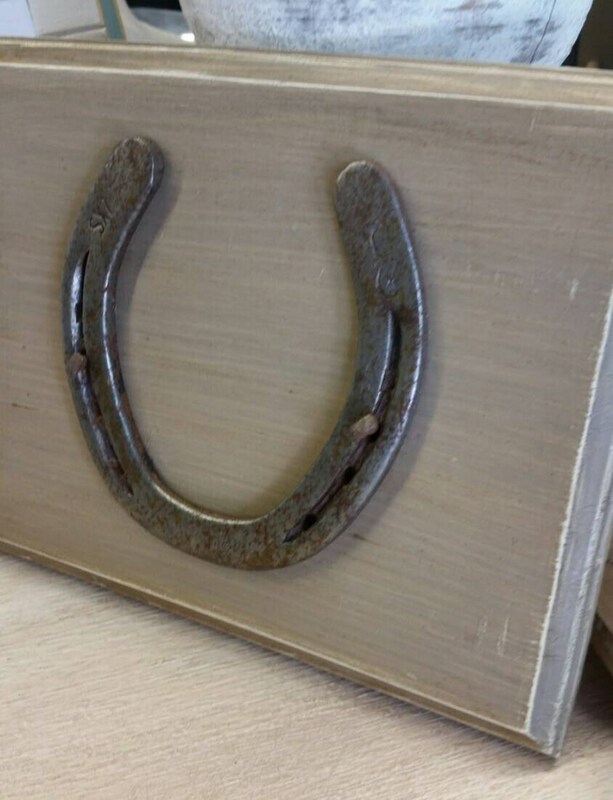 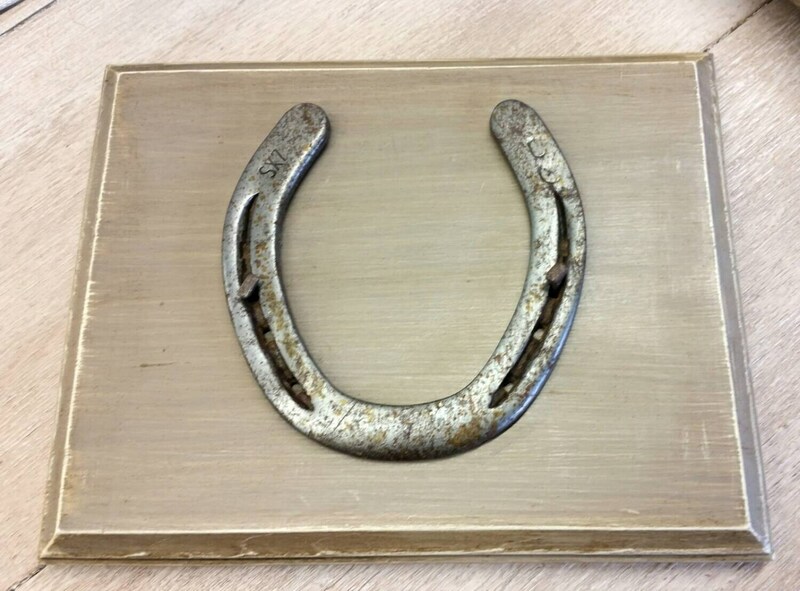 Luckey Vintage Horseshoe that has been mounted on distressed wood that is ready to hang over a doorway -makes a great house warming gift. 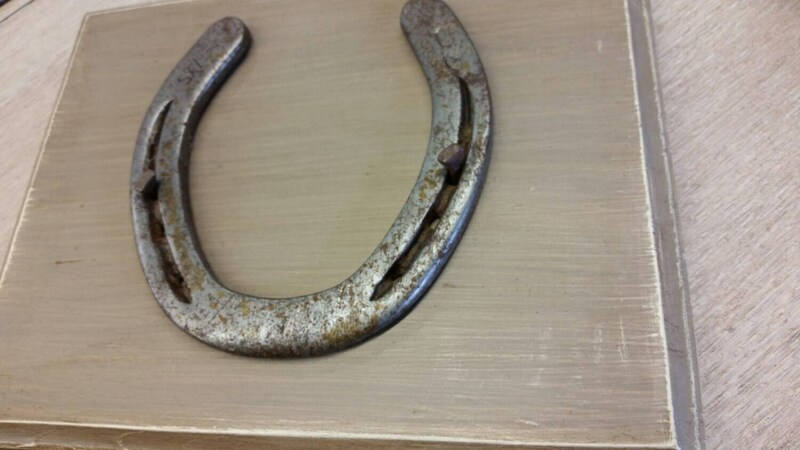 Painted with Annie Sloan color Coco.